I think the question boils down to: are we getting ourselves ready for Christmas, or are we getting the stuff of Christmas ready? Advent is a special time of year. Celebrating Advent and preparing for Christ’s birth is always a joyful time. 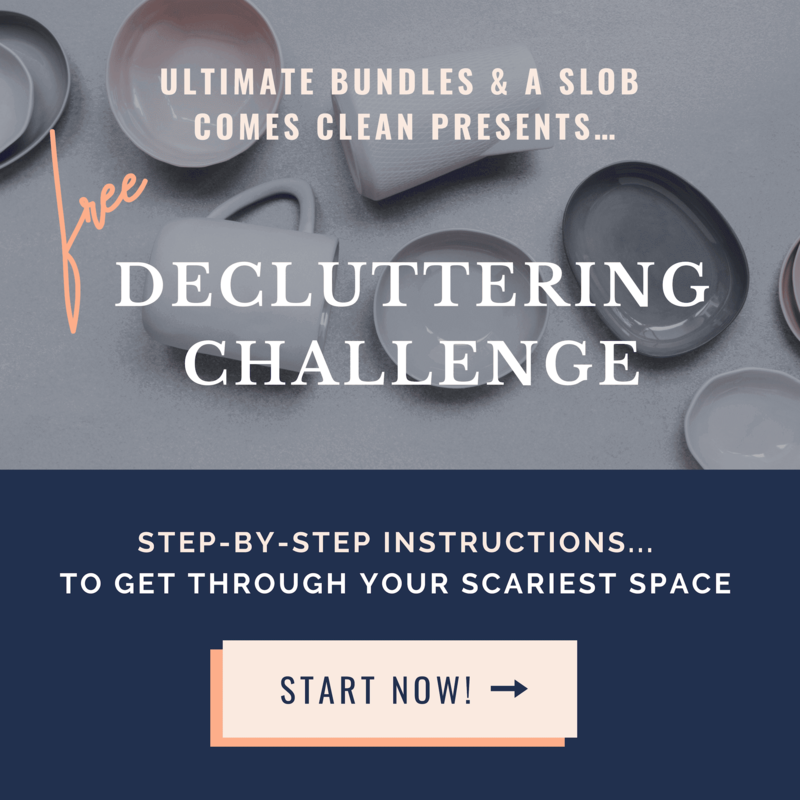 We can get caught up in decorating our home, buying gifts, baking, baking, baking, parties, and other activities. Or, we can choose to limit the secular pull of Christmas that tries to draw our attention and we can focus more spiritually on preparing our hearts to receive Jesus as a little child born in a manger. To celebrate Advent, we need to know what it is about. In a nutshell, Advent is the four week period before Christmas; it begins on the fourth Sunday before Christmas and lasts right up to Christmas Eve. It is a time in our Church set aside for us to reflect more on Jesus and His birth and to prepare our hearts to receive Him again on Christmas. Preparing my heart needs to be my focus during Advent. Our Catholic faith provides this season of Advent for us as an opportunity to draw closer to Jesus, to know Him better and to turn our hearts more to Him. But, how can I do that? Read the Mass readings every day. The readings of the Mass reflect what is going on in the Church calendar;. 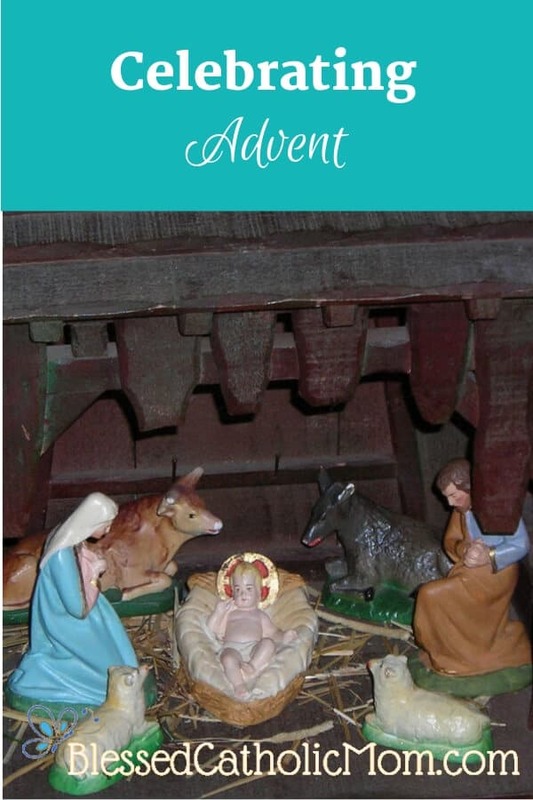 As we read them each day, they will draw us into the events leading up to Jesus’ birth. By reading and spending some time reflecting on the Mass readings, we can travel along with Mary and Joseph. We can know God even better than we already do. Pray before you begin reading each day that God will enlighten your heart and mind to know and understand what He wants for you to know and understand as you spend this time with Him. Spend time in prayer in church before the Blessed Sacrament. Jesus is present in the tabernacle. When we make the effort to go to church to pray, it shows an extra effort on our part, that we want to be closer to Jesus. 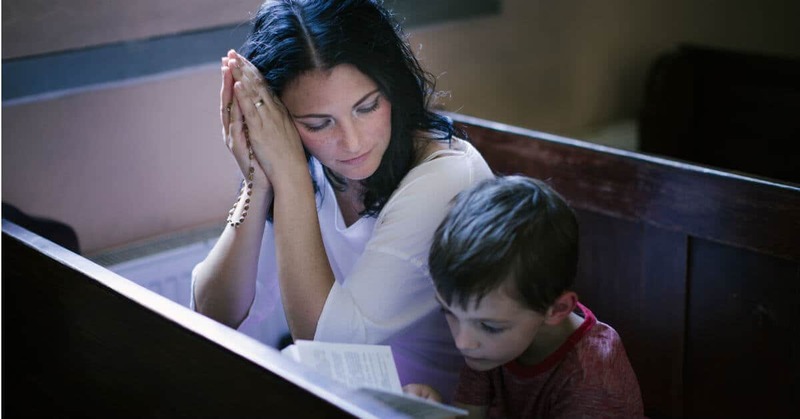 If going to church during the week sometime to pray is not feasible, we can go a little early for Mass on the weekend and use that time to pray. Attend a penance service or go to Confession. We dress up for Mass, right? So dressing up our souls is a good thing to do, too. When we go to Confession we are ridding our souls from sin, which interferes with our relationship with Christ. Our sinfulness can also interfere with our relationships with those around us as well. Going to Confession to clean our souls is a great way to help us grow closer to God this Advent season. Have quiet time at home to make memories and create traditions. Do you have family traditions that you enjoy? Are there other traditions you’ve always wanted to try to implement? Try one this year and see how it goes. One of our traditions started by accident. One year just before Christmas our heater went out. My husband stocked up on firewood. He lit a fire in the fireplace and we all camped out in the living room on Christmas Eve. It was a memorable night! We camped out as a family for a few years after that. 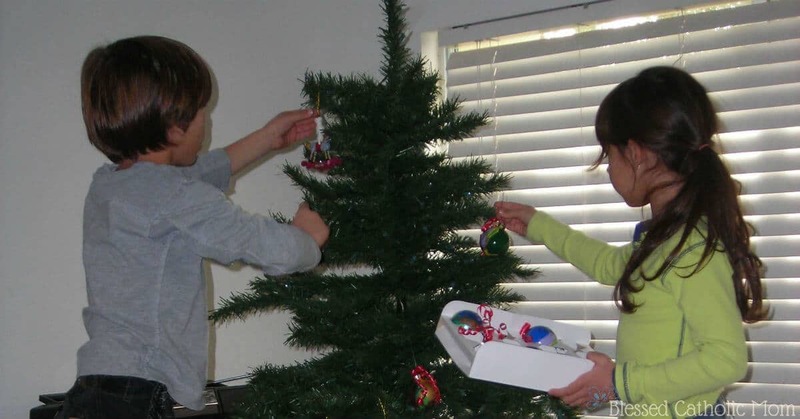 A tradition does not have to be a big deal or a time-consuming endeavor. It simply needs to be meaningful. One of our traditions that is simple is to read from the Bible about Christ’s birth and the coming of the Magi before we open our gifts on Epiphany. We exchange gifts with family and friends at Christmas and exchange gifts with our kids on Epiphany, the day that Jesus received His gifts. Spend some quiet time with God. Make time to be quiet and just be, to experience God’s presence in your life. Don’t schedule so many activities and tasks to accomplish during the season that the meaning and purpose of Advent is lost in the busyness. Have an Advent wreath. Light the candle(s) and pray together each Sunday as a family. Decorate a Christmas tree together and leave it up until Epiphany. 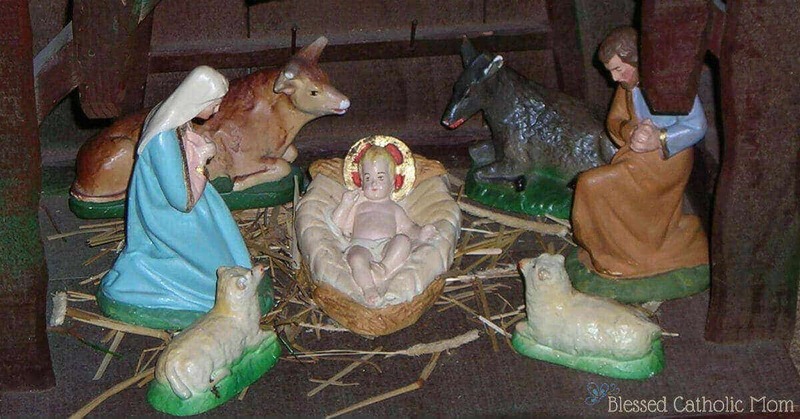 Doing so reminds us that the Christmas season begins on Christmas and goes until Epiphany. Dynamic Catholic has a Best Advent Ever series you can sign up to receive via e-mail. If you don’t want to watch the videos, you can read the video transcripts. Busted Halo has an Advent calendar you can look at each day. No matter what you choose to do, developing a closer relationship with Jesus is what will make Advent special. That is the true heart of the season. What will you do this year to celebrate Advent in a meaningful way? You asked about family activities in Advent. For several years when our children were young, I would write on a slip of paper for them each night a good deed they had done during that day. I kept them in a small box and then on Christmas morning, we would put that box near our creche as their gift to Baby Jesus. Thank you for sharing. That is a great idea. I can see how it would encourage children to be more attentive to their behavior and want to do more good deeds to please baby Jesus.